Scented Leaf. 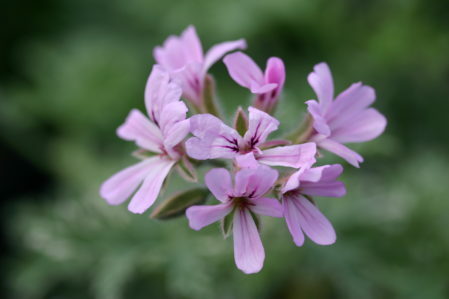 Small soft lavender pink flowers. April-Oct. Silver grey leaves subtly variegated with creamy grey tones. Much less distinct to that of Lady Plymouth. Rose scented. We find this to be a much stronger plant. Ht 40cm. Sp. 35cm.